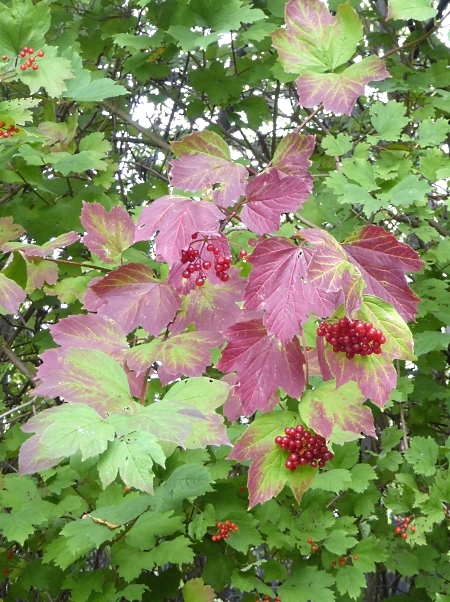 It’s definitely autumn now, with a chill in the air and the leaves starting to change colour and fall. From the station we crossed the very busy Princess Way by the pedestrian bridge. 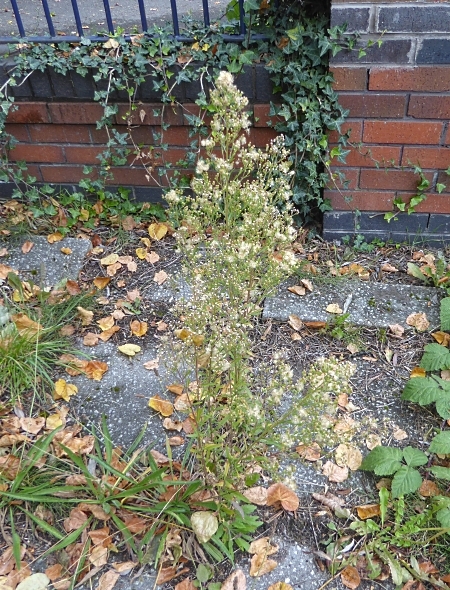 Even by the roadside there were things to see – Ragwort blooming under some railings, a Wych Elm bearing the cast-off skin of a Ladybird nymph and a tall gone-to-seed plant which may have been a Canadian Fleabane. 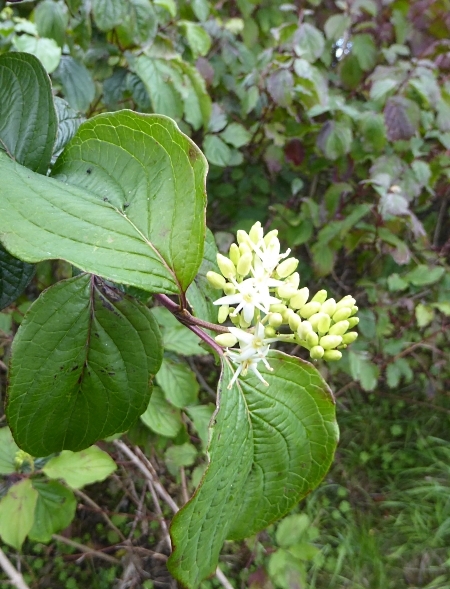 It’s an introduced weed, but not a recent one. The fluffy seeds are reputed to have been brought into the UK almost 300 years ago as the stuffing in bird skins mounted by taxidermists. 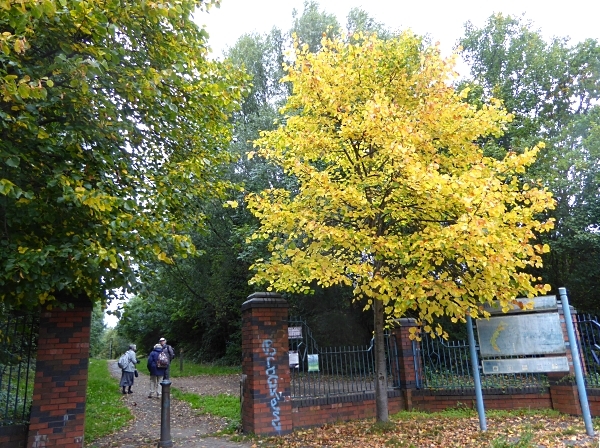 The southern entrance gate is flanked by two Lime trees, and the one on the right has turned a spectacular uniform yellow. I think they are both Small-leaved Limes. 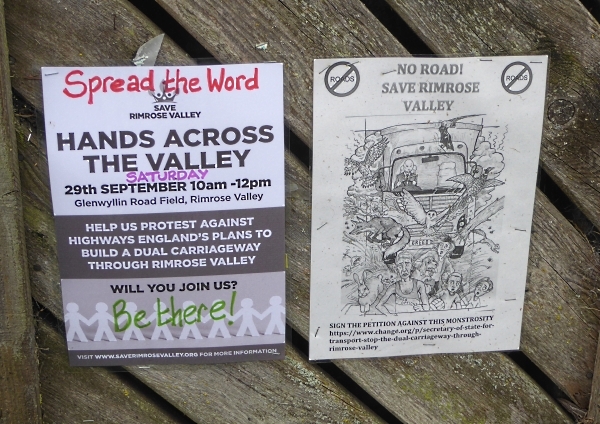 Rimrose Valley Country Park was a council tip until 1978, but has been capped and planted to provide a welcome open space between Crosby and Litherland. 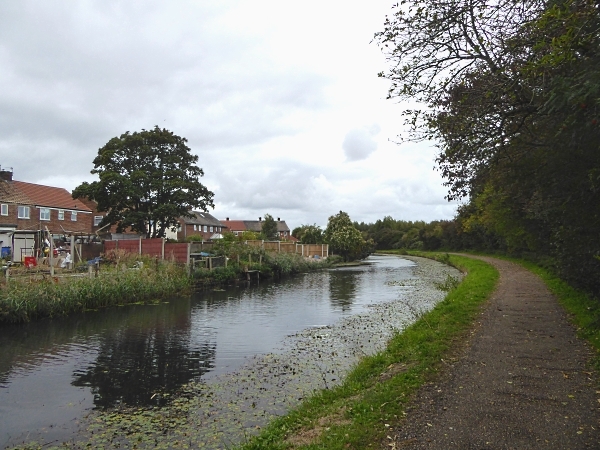 The southern section is more wooded, with the Rimrose Brook winding through it, and it is called Brookvale Nature reserve. There are currently plans to route a new road to the docks right down the middle of it, which are being vigorously resisted by the Friends group. We saw an amazing list of wild flowers today. 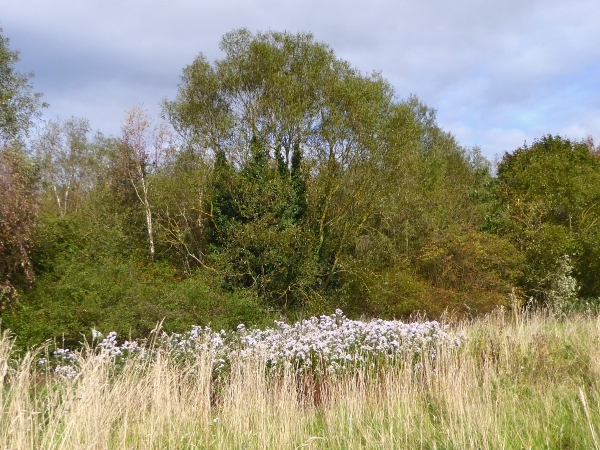 As well as the Ragwort and Canadian Fleabane, we also saw Ivy, Himalayan Balsam, Michaelmas Daisies, Bindweed, Hemp Agrimony, Yarrow, Horseradish, Purple Clover, Ladies Bedstraw, White Campion, Evening Primrose, Black Nightshade, White Dead-nettle, late flushes of Dogwood, Dandelions and Brambles, Burdock, Shepherd’s Purse and one stalk of Fox-and-Cubs on the bank of the canal. Twenty-one! 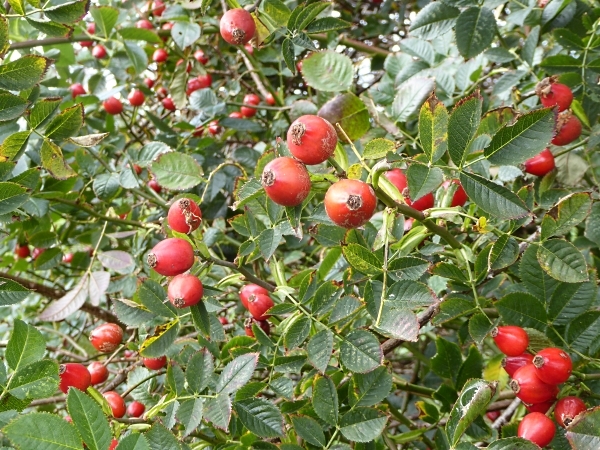 We noted the red berries of Rowan, Hawthorn, Dog Rose and Guelder Rose, the latter glowing as if they were lit from within. 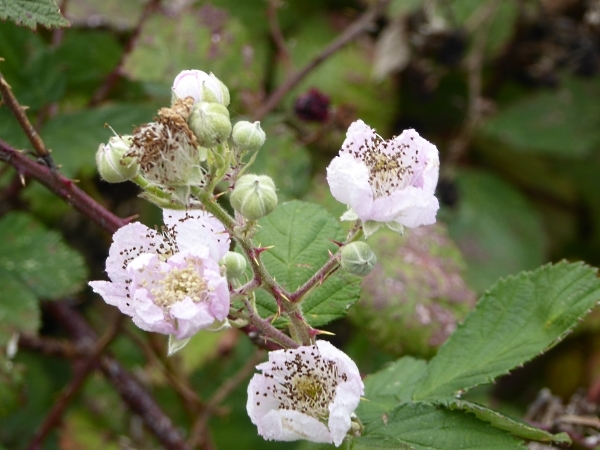 There were also the black berries of Bramble, Dogwood and Elder. 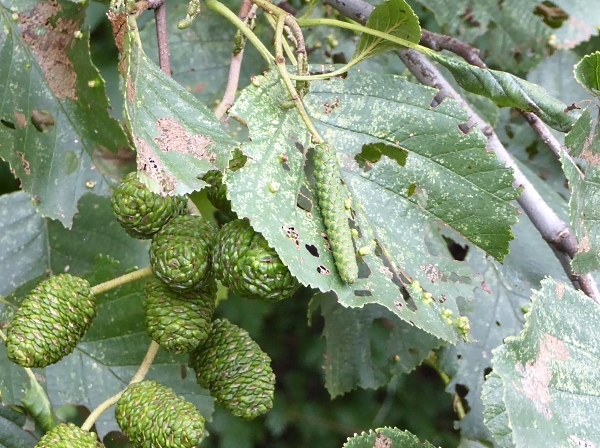 The Ash trees had huge bunches of keys and the Field Maple’s winged seeds all stuck out horizontally as if they were one of those old toys with a string at the bottom, which you pulled, and it made the arms and legs shoot out sideways. 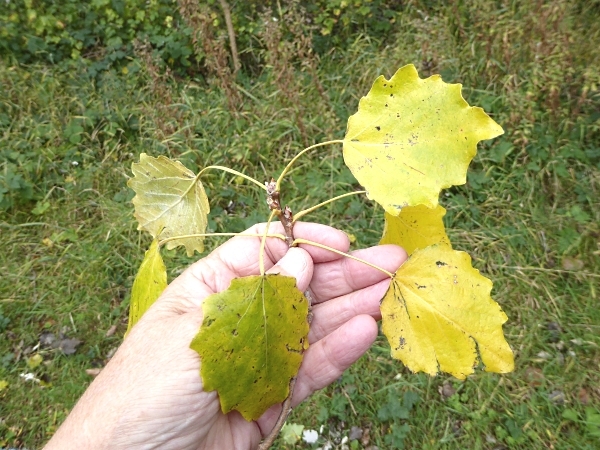 One fallen twig with scalloped leaves shouted “Aspen” to me, but after looking around at all the Poplars, I suspect it was from the only other scallop-leaved tree, the Grey Poplar. 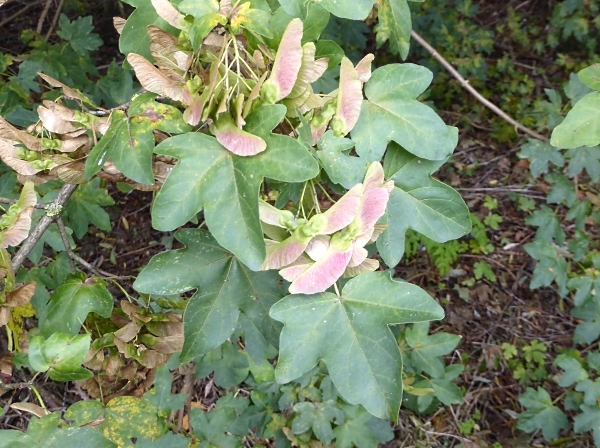 There were also signs of spring, with three trees showing off early catkins – Birch, Hazel and Italian Alder. 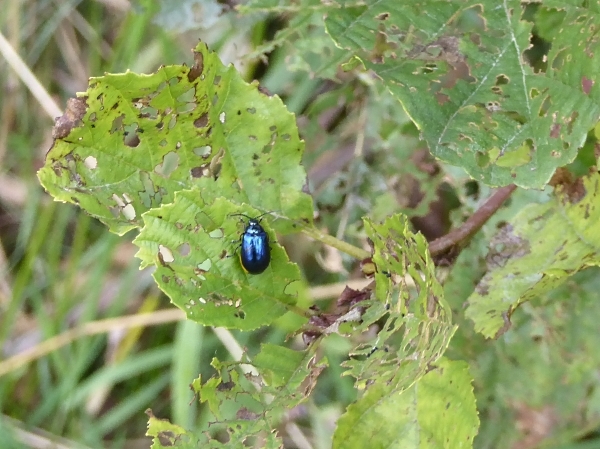 Most of the Alders were Italian, and they were nearly all heavily infested with Alder Beetle. The leaves had been chewed to lace by the grubs, and the lovely shiny blue-black adults, about the size of ladybirds, were loafing around, their work done! As part of their campaign to save the park, the Friends have invited several artists to put up open-air works as part of the Liverpool Biennial Fringe. 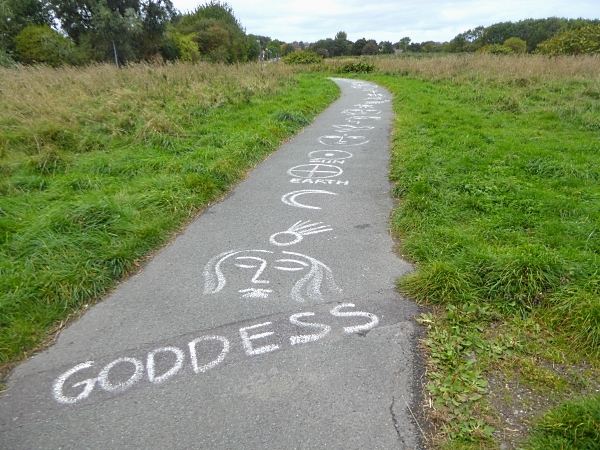 Most appear to have disappeared, but we saw The Goddess Trail by Alice Lenkiewicz. We lunched as the picnic tables and watched a Buzzard circle overhead, a Kestrel hover and the Police helicopter search for malefactors in Litherland. A flash of blue near the hedge was a Dragonfly, possibly a Migrant Hawker. 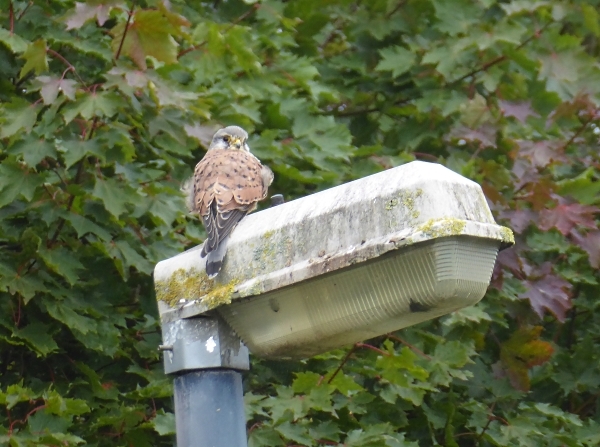 Around the corner, the Kestrel was sitting on a street lamp, with the breeze fluffing his feathers. He was a male, probably a young one, as he was perfectly relaxed despite us walking all around and pointing cameras and binoculars at him. 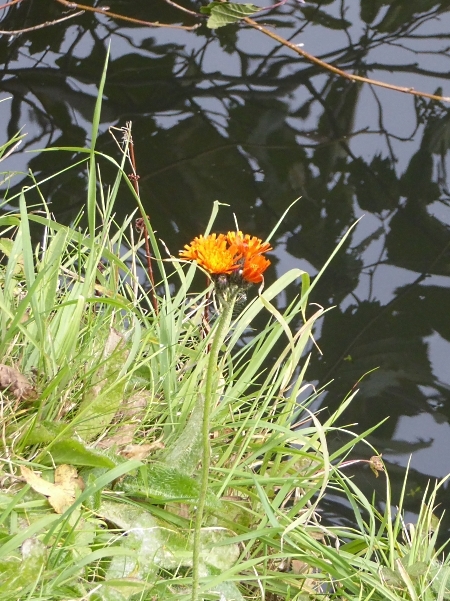 We headed towards the canal and turned southwards. 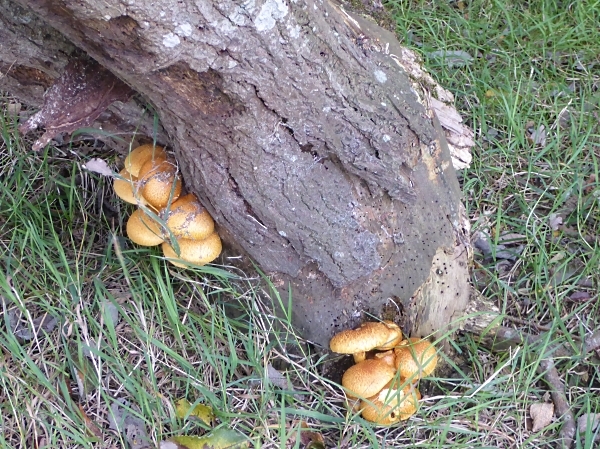 At the base of a tree near the junction were some toadstool-type fungi. They had brown speckles all over the tops, and I think they might have been Shaggy Scalycap, which the book says are found at the bases of trees, and can easily be confused with Honey Fungus. That sounds right. On the canal were just a couple of Coots and a few skulking Mallards. I left to cross the park from the nearest spot to my home in Crosby, while the others continued southwards on the towpath to Seaforth. Public transport details: Train from Central at 10.23, arriving Seaforth and Litherland 10.40.